Contra Costa residents can safely dispose of medicines they no longer need by taking them to one of several drop-off kiosks located around the county. 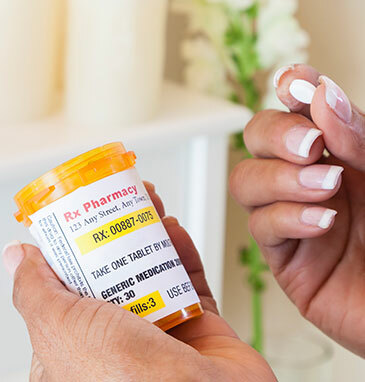 It is important to dispose of prescription and non-prescription drugs properly because they can hurt the environment if thrown in the trash or flushed down the drain. Leftover drugs can also lead to accidental poisonings or intentional misuse, particularly by young people. Nearly half of all calls placed to the California Poison Control System from Contra Costa County involved children who unintentionally consumed prescription or non-prescription drugs. Anyone in Contra Costa can find a nearby drop-off kiosk to safely dispose of unwanted prescription or non-prescription drugs by visiting med-project.org and the California Board of Pharmacy. A mail-back service is available for people who have disabilities that affect their mobility. MED-Project services are part of Contra Costa's Safe Drug Disposal Ordinance, which requires companies that make pharmaceutical drugs sold in the county to follow a plan for safely collecting unwanted or unused medicine. These services are part of Contra Costa's Safe Drug Disposal Ordinance, which requires companies that make pharmaceutical drugs sold in the county to follow the MED-Project plan for safely collecting unwanted or unused medicine. Check this page periodically for updates about the MED-Project plan in Contra Costa.